Outreach exhibit at Providence Care - Mental Health Services Site from 2001-2016. Removed for construction. Temporary exhibit at the Museum. Companion exhibit to Friendly Fire.
? The development of the bipolar electrosurgical forceps by Dr. Jacques-émile Rioux in the early 1970s improved the safety and effectiveness of gynaecological laparoscopy, a method of permanent contraception.
? The design of the bipolar forceps underwent rigorous testing and multiple evolutions by Dr. Rioux and his team at the Centre de reserche industrielle, in Quebec. The Sisters of Providence founded an institute in Kingston in 1841 that helped to care for the destitute elderly and orphans. PCCC assumed responsibility for the KPH in 2001. 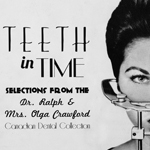 X-rays were appropriated for commercial use, as well as medical diagnosis. Demonstration of the many uses and approaches to medical art from the Classical period to the Modern age. Highlights included: the spiritual role of models in the Classical period and also their instructive value, particularly during the Renaissance art period; the importance of wax models in medical teaching when dissection was socially frowned upon; use of moulages in 19th century for education and shock value; changing material (rubber, plaster) and artistic character of models in the 20th century. 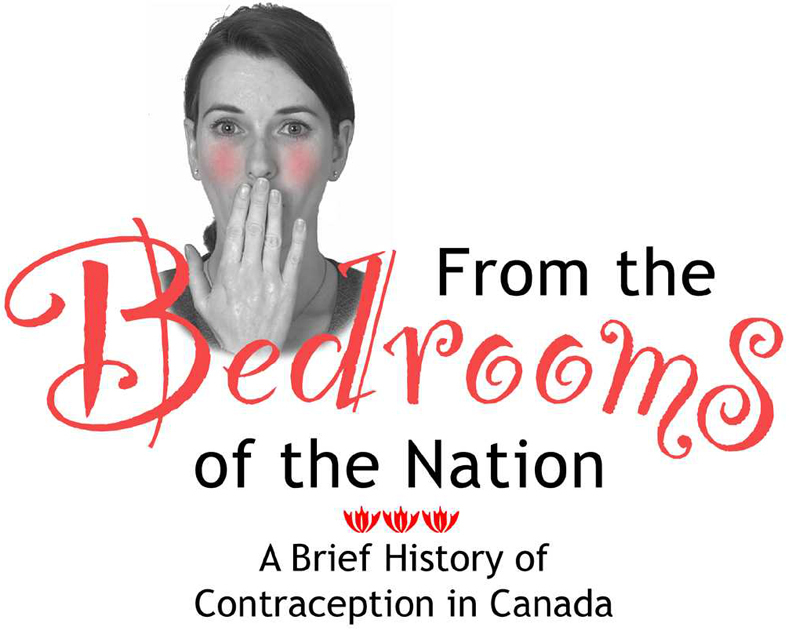 Included discussion of the moulages of Marjorie Winslow and their use by the Obstetrics and Gynaecology Department at Queen's University in the 1940s. Interactive exhibit used stereoscopes and reproduction slides to challenge visitors to diagnose skin ailments. Guest Consultants: Sylvia Burkinshaw, Veronica Padfield-Harris, Mary Vandewater, and Ellen Barton. The Auxiliary has played an important role in KGH history, seeking to “create an inviting, comfortable, supportive, and well-equipped healing environment,” by providing patient care services (i.e. gift shop, hairdressing, baby photo service); volunteering time and to prepare blankets, booties, and dressings; and staging important fundraisers. Over time people have proposed various purposes for tonsils, but we now know that tonsils are glands. Tonsils become smaller as you age and are largest in children. Presently, tonsillectomies are done by electrocautery. In the early 1800s surgeons might have removed tonsils by tightening a wire around them or cutting them off using a tonsillotome.
? The timeline of development of the School of Medicine, from 1854.
? The education model followed the school at Edinburgh, with three years of course work and one year of practical experience.
? The presence of the medical school improved the health of the Kingston community.
? Though students spent much of their time in class, they were also known to be the rowdiest group at Queen’s.
? The School accepted their first three female students in 1884; however, coeducation was extremely controversial and difficulties with some faculty and students led to a ban on female students that was in place until 1943. As a result, a separate medical school for women ran from 1883-1893. In celebration of the 25th Anniversary of the Bracken Health Sciences Library, this exhibit highlighted the early development of the medical library. 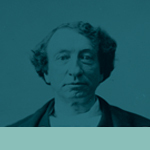 Beginning in 1854, with the opening of the medical school, professors sought out donations to the library. In addition to books, various learning aids (charts, models etc.) were also acquired.
? 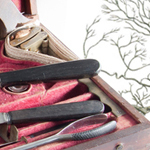 Anatomy was the cornerstone of medical education by 1854, largely due to advances in surgery.
? Queen’s Medical School opened in a building on Princess St., but moved to Summerhill in 1855.
? 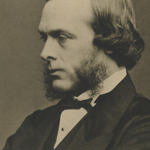 Anatomy classes were taught daily by Prof. John Stuart. The dissection room was open all day for students to work on their own.
? The students and school acquired cadavers from the penitentiary, hospital, and family members in need of the money paid out for bodies. Some occasionally stole bodies from dead-houses or cemeteries.
? Women were admitted to the medical school in the 1880s, but had separate rooms for their anatomy lessons. Information on Tuberculosis, i.e. cause, spread, symptoms, impact; How TB detection techniques developed, i.e. lung imaging, public health screenings; Treatment improved over time, i.e. sanatoria; pneumothorax; antibiotics; Public health measures sought to increase public awareness and prevent the spread of TB; Despite low incidence rates in North America, there is a global TB emergency as numbers of cases rises in Africa and drug resistant strains become more common.
? The Bracken family has a deep Queen’s connection.
? The range of skills and knowledge required by practitioners in the early 20th century. Exhibition Team: Dr. Nick Delva, Dr. George Laverty, Dr. Cameron Stevenson, Connie Cox, and Jean Burton. In 1854 an asylum was established for criminally insane. 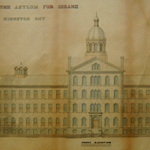 In 1877 the prison sold the asylum and it became part of the provincial asylum system. This coincided with a reform movement in care. In 1907 the Asylum was renamed a hospital. It underwent a shift in practice from being responsive to seeking to identify underlying causes and diagnosis of condition. The inter-war period saw numerous advancements in drug therapies (i.e. penicillin vs. syphilis, lithium vs. bipolar disorder, insulin shock therapy vs. schizophrenia, Metrazol vs. depression, and electroshock therapy in 1945). The 1950s saw a development of psychoactive drugs that enabled more people to be treated as out-patients and shortened stays in the hospital. New drugs and the development of cooperative housing allowed more patients to live in the community. Other community agencies also now care for categories of patients that would have been confined to the hospital in the past. Describes current role of KPH, ongoing research, and new treatments. How kidneys function and why they fail; treatment options for kidney failure; early history of dialysis (timeline); technological developments of dialysis, including dialysis machines, shunts, and dialyzers. Development of the heart-lung machine, from inspiration in 1931 to first clinical use in 1953; Melrose-N.E.P. Heart-Lung Machine; the function of oxygenators. Sponsor: Baxter Healthcare Corporation. The discovery of radium by the Curies ushered in a new era of medicine, particularly with regard to cancer treatments; the characteristics of Radium, how it is extracted, the cost (historically), and the dangers of its use; radium was first used in Kingston by Dr. F. Etherington, and was used in the Kingston Cancer Clinic from the 1930s to1957; the risks of radiation became better understood over time and led to a drastic change in how the treatment was applied, i.e. shift from popular treatments (i.e. radium waters) to lead lined safes for storage. Shoe-fitting fluoroscopes were prominent in shoe stores from the 1920s to the 1950s when associated health problems led U.S. state governments to begin regulating its use. No legislation was ever passed in Canada or Britain. The x-ray machine was touted as an aid to help ensure clients, particularly children, were receiving a properly fitting shoe. 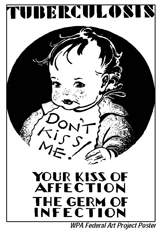 The advertising rhetoric exploited the social turn towards "scientific mothering." Text panels also explained how the machine was used.
? The risks of anaesthesia, i.e. death, lack of modesty, or abuse by doctor. Displayed gas machines, anaesthetic vaporizers, and ether inhalers. Advances in anaesthesia in the 20th century, including: machines and technology (especially gas machines); anaesthetic agents; techniques of administration (especially vaporizers); and monitoring systems. Covered the professionalization of the administration of anaesthesia.
? Discovery of x-rays by Wilhelm Conrad Roentgen 1896.
? X-rays are electromagnetic radiation. Their production requires high voltage electrical current through an evacuated glass tube.
? John Cochrane gave demonstrations of the x-ray at RMC as early as 1896.
? Kingston General Hospital acquired an x-ray apparatus in the fall of 1896, possibly the first hospital in Canada to do so.
? Dr. James Third, Superintendant of KGH in 1896, oversaw this acquisition and eventually became the hospital radiographer in 1900. He was an advocate of the use of x-rays in diagnosing tuberculosis.
? Use of a fluoroscope and x-rays aided in the diagnosis of fractures, diseased tissue and the presence of foreign bodies. By 1900 x-rays were also being used in the treatment of acne, lupus, eczema, and skin cancer. A Ladies’ Committee was formed shortly after KGH opened in 1845. Its main role was fundraising; the Women’s Aid Society was formed in 1905 to help improve the conditions in the hospital, i.e. cleanliness, state of the linens, meal preparation, and to help with fundraising; the objective of the Society continues to be improving the patients’ stays.
? Nursing emerged as a profession following the development of nursing schools in the 1880s. The School at Kingston was the third oldest in the country. It closed in 1974.
? The Kingston General Hospital Nurses’ Alumnae Association was formed in 1896. They led the fundraising campaign that enabled the construction of a nurses’ residence in 1904.
? This building, named after Ann Baillie, much loved Superintendent of Nursing from 1924-1942, is a designated National Historic Site and current location of the Museum of Health Care at Kingston.
? Up until 1994 the nursing uniforms included red trim at the collar, cuffs and belt.
? One ritual of graduates was to toss their black boots, considered matronly by many, into the lake.
? The Bracken family has a deep connection to Queen’s University.
? The practice of, and instruments of, medicine progressed rapidly through the late 19th and 20th centuries.
? The roles of pharmacists and surgeons.
? The physical evolution of pacemakers between the 1960s and the 1990s, especially a decrease in size and weight, external to internal implantation, components and materials, and fixed vs. adjustable rates.